John Arnold (c. 1720-1792) is generally recognised as 'coming from' Great Warley, but exactly in what context is unknown. 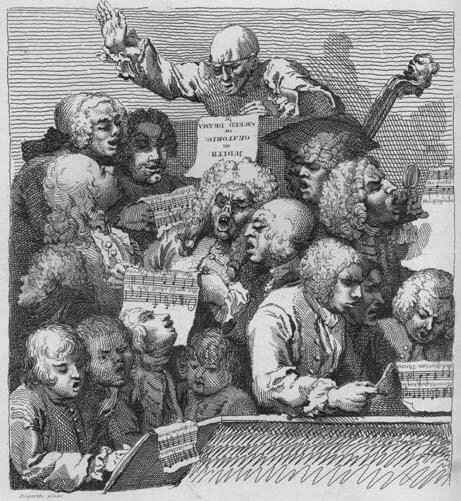 In 1740 he published his Compleat Psalmodist, and, in common with many itinerant singing masters and publisher-composers of the time, acknowledged that in addition to forty-two "of his own composing", he included four tunes by 'Mr. Philemon Chalk, one of the [singing] society of Great-Warley'; one by 'Samuel Laisel, of great Warley'; and one by 'John Harwood, leader of the tenor[s], of Great-Warley'. [xiii] It would appear , therefore, that there was a flourishing band of singers (and possibly, later in time, instrumentalists) who made up not only a singing society, but presumably also the village choir of the time. One assumes that Arnold was probably their choir master and leader, although as a psalmodist he would almost certainly also be travelling about from church to church teaching people to sing and selling his books of psalmody. 'In the churches of London and Westminster, which abound chiefly with large congregations, it is customary for the people, who chiefly sing by ear, to follow the organ, in those churches that are furnished with that most excellent instrument; but in churches where there is no organ, they generally follow the clerk, who sings the melody of the tune . . .
[xii] Ibid. From the Notes and Illustrations by A W Wellings, ARCA, in the same Guide. [xiii] Nicholas Temperley: The Music of the English Parish Church, Vol.1. Cambridge University Press, 1979. Page 178.